Tours are private and run every day all year round. The exact starting time will be specified after your booking. Transport from Barcelona to Montserrat can be arranged in various ways. We can either pick you up at your hotel with a car, meet you at the Monitor train station in Barcelona to go by train, or meet you directly at the destination. The usual size of the group is 1-6, but please consult us if you are more. Kids (under 40 kg) are welcome to join the tour. What to bring? First, you need closed stable sports shoes. Via ferrata gloves are not necessary and we don’t rent them, but if you have cycling gloves, you can always use those. It is advisable to take a backpack to carry all your small items. If you need to, our guide can help you carry water or anything else you might find difficult to hold. We also recommend a second layer of clothing on colder days, but usually, you can do without it. It is very rare to experience rain. Food and water are not included in the price. Please bring your own or we can stop at a shop on the way. We can communicate in English, French, Spanish and Italian. If you cancel 2 or more days before the activity, you will receive a full refund of the paid amount. There is no refund for later cancellations. In rare cases, we need to cancel or postpone the activity due to bad weather. In such a case we will agree on a different date or give you a full refund. 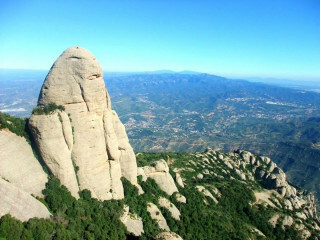 Montserrat is an overwhelmingly beautiful rock massif situated just 45 minutes away from Barcelona. 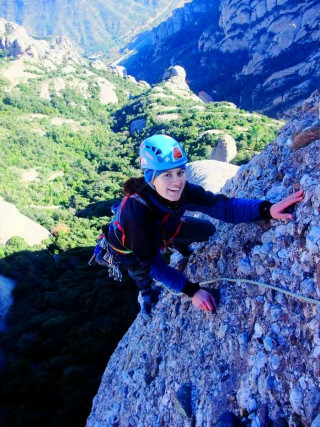 Being one of the world’s top climbing destinations, it is also a place well known for its beautiful via ferrata routes in a stunning natural and historical backdrop. 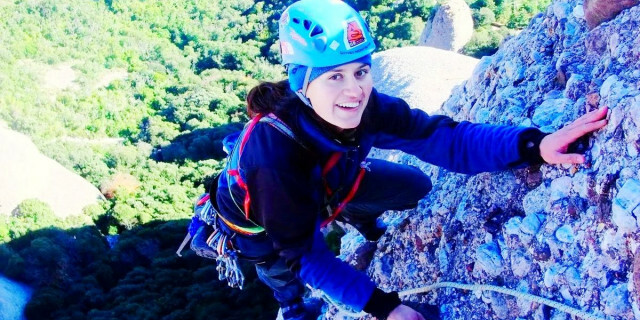 Via ferratas are an accessible way to climb rocks and mountains. 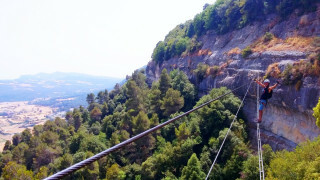 With the help of steel ladders, chains and bridges, you get to places otherwise only accessible to birds and climbers. With an expert guide, no previous experience is necessary, just average physical fitness and the desire to climb. For the entire time, you are accompanied by a UIAGM certified mountain guide and rock climbing instructor, who bring all the equipment for the course. 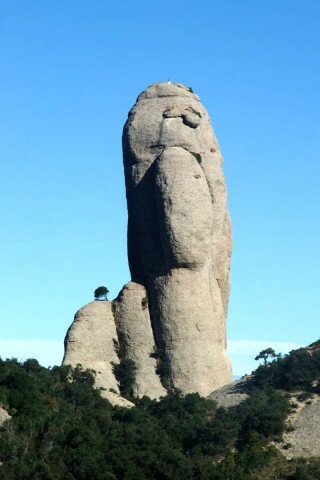 In the morning, we travel from Barcelona to Montserrat either by car (we will pick you up) or by train. Once at our destination and according to the preferences of the group, we start one of the two best via ferratas. Our most popular option, called Las Damas, presents a medium and well-balanced challenge for all types of visitors. 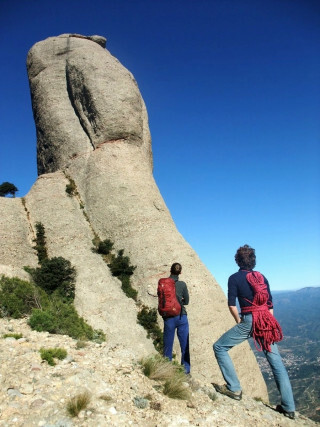 In 3-5 hours of climbing, you visit the wildest parts of the Montserrat massif with views over the wine country. The most challenging bit is focusing on your steps while you stare at the jaw-dropping landscape. But no worries, we are always ready to assist you if needed. 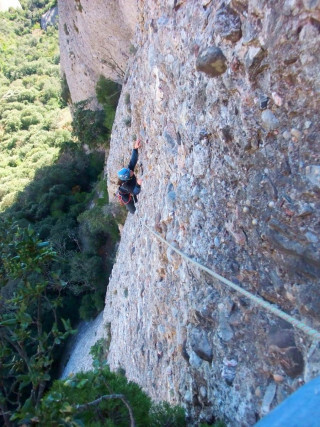 The second option, called La Teresina, is probably the most acclaimed via ferrata in Spain. Even though it doesn't have high technical difficulty, due to its length, we recommend it only to those with good physical fitness. 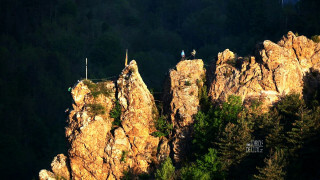 Taking 4-6 hours to climb, this spectacular route crosses two key summits and a breathtaking rock wall. 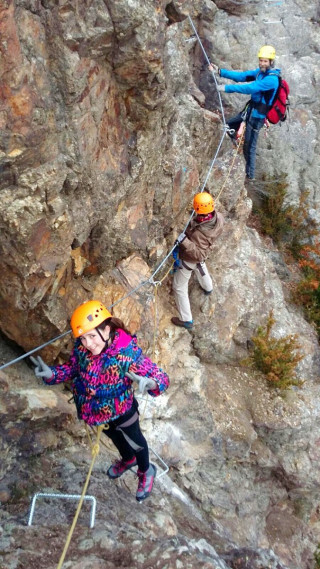 On the way, you enjoy Ferrata climbing at its finest. 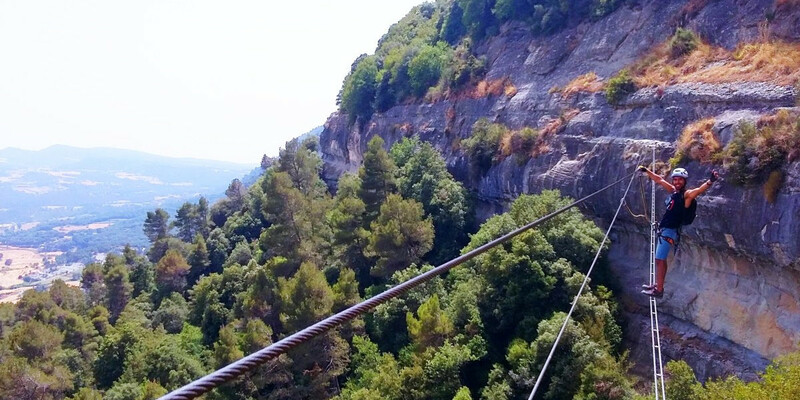 Natural bridges and overhanging sections bring you to the top to marvel at views of the Pyrenees. 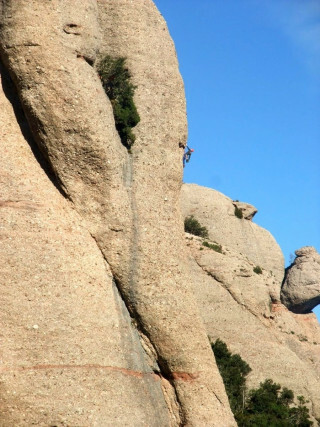 On the way down, you also have time to visit the Montserrat Benedictine Monastery. However, this route is temporarily unavailable due to a recent avalanche. 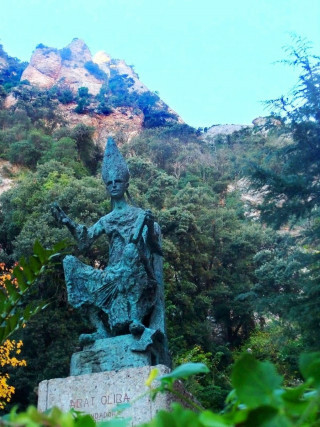 Finally, we head back to Barcelona in time to enjoy the evening, arriving between 5:00-7:00 p.m. You bring back great memories (and tired muscles) from some of the most amazing via ferratas Northern Spain has to offer.